Periodic overnight lane closures will take place on West Main Street and Farm District Road in Fernley Jan. 23 through mid-February as the Nevada Department of Transportation fills roadway cracking. Short segments of Farm District Road, as well as West Main Street between I-80 exit 46 and the downtown Fernley roundabout, will periodically be reduced to one lane weekday evenings from 10 p.m.-5 a.m. through mid-February. The work will take place intermittently as weather and road conditions allow. Traffic flaggers will alternate directions of traffic, and only minor travel delays are to be anticipated. As part of routine roadway maintenance, NDOT maintenance staff will fill cracks in the roadway surface to reduce water erosion and provide a smoother driving surface. 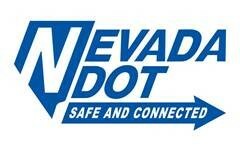 Updated state road conditions and construction information is available by visiting nvroads.com or dialing (775) 888-7000 before driving.